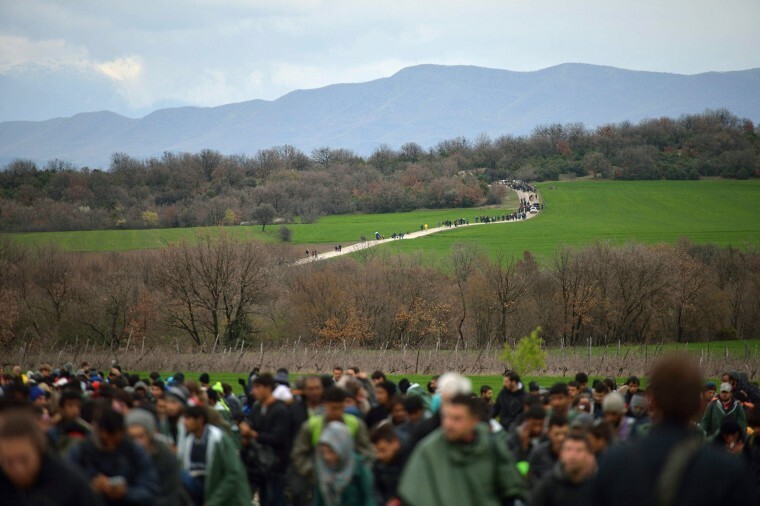 Migrants march on a road, north of Idomeni, Greece, during an attempt to reach Macedonia on a route that would bypass the border fence on March 14, 2016. Hundreds of migrants and refugees walked out of an overcrowded camp on the Greek-Macedonian border Monday, determined to use a dangerous crossing to head north. 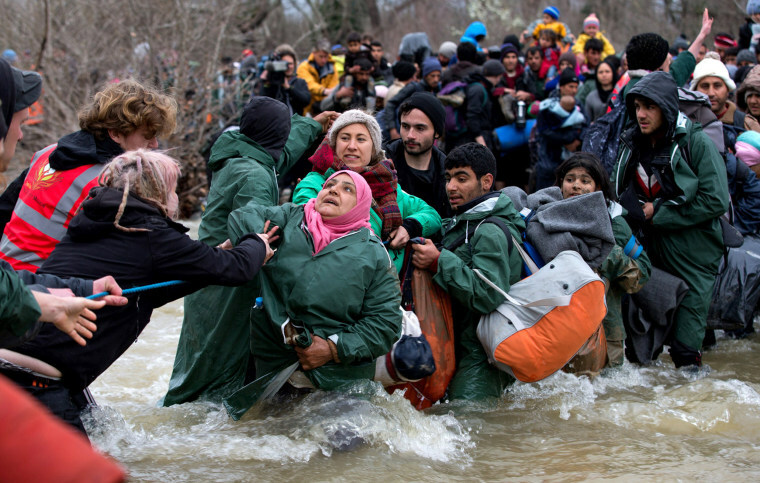 Migrants cross a river after leaving the refugee camp in Idomeni, Greece. The decision by Macedonia to close its border to migrants has left thousands stranded at the Greek transit camp. 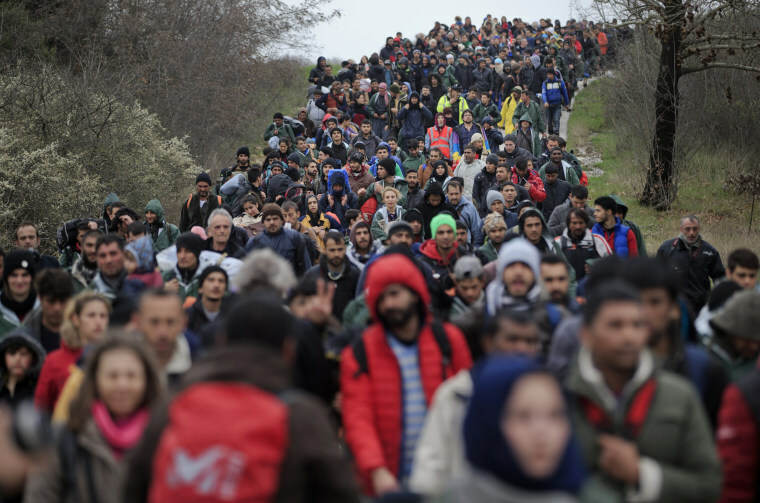 The closure, following the lead taken by neighboring countries, has effectively sealed the so-called western Balkan route, the main migration route that has been used by hundreds of thousands of migrants to reach countries in western Europe such as Germany. 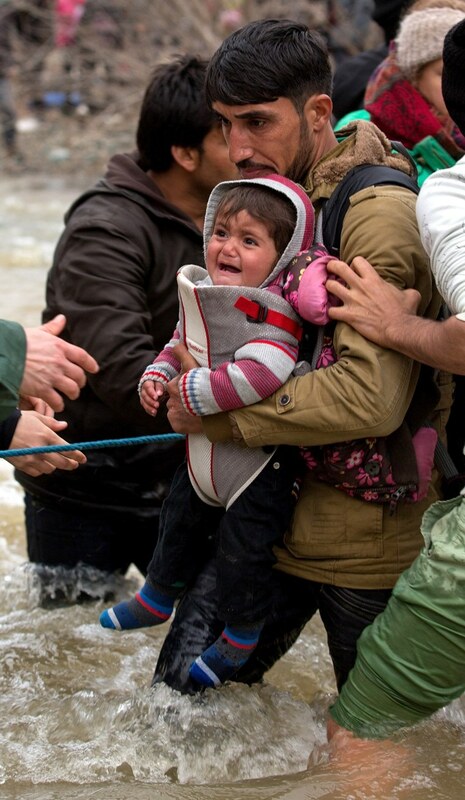 A baby is carried across a river by a migrant after leaving the Idomeni camp. Humanitarian workers have described the conditions at the camp as desperate, and made much worse by recent bouts of heavy rain. 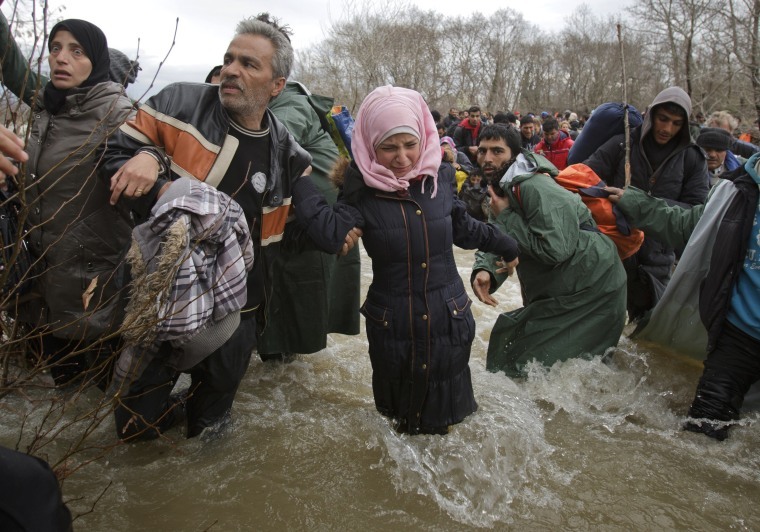 A woman cries as she crosses the river with other migrants and refugees. Hundreds of migrants and refugees walked out of an overcrowded camp on the Greek-Macedonian border Monday, determined to use a dangerous crossing to head north. 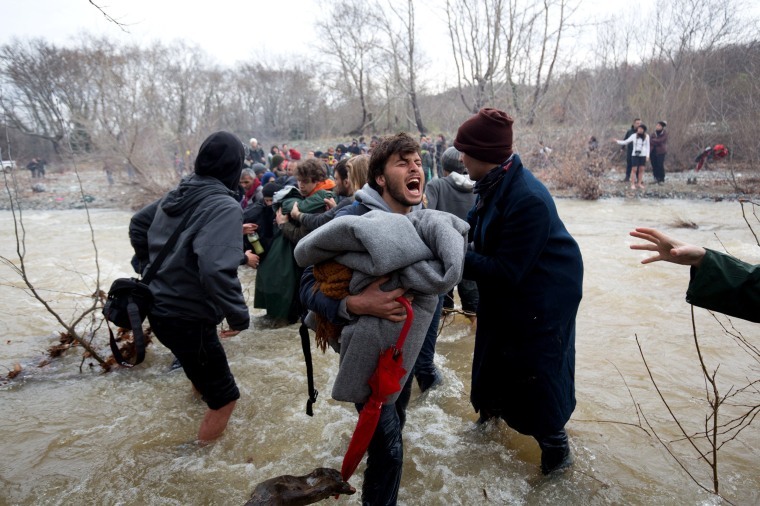 Migrants cross a river after leaving the Idomeni camp. 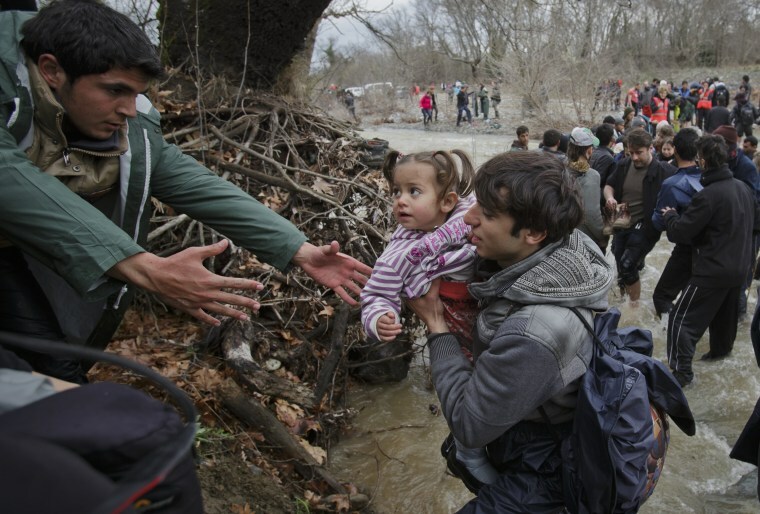 A man reaches to take a child as migrants and refugees cross a river north of Idomeni. 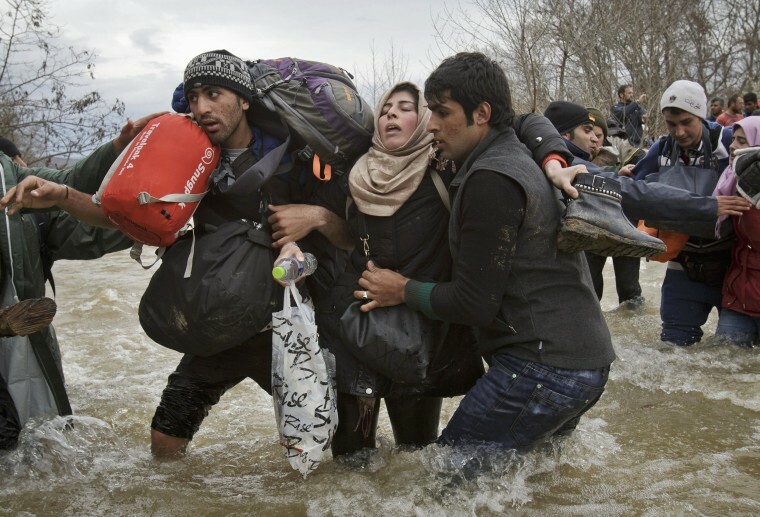 Migrants and refugee use a rope to cross a river on their way to Macedonia. A woman is supported by two men while crossing the river. 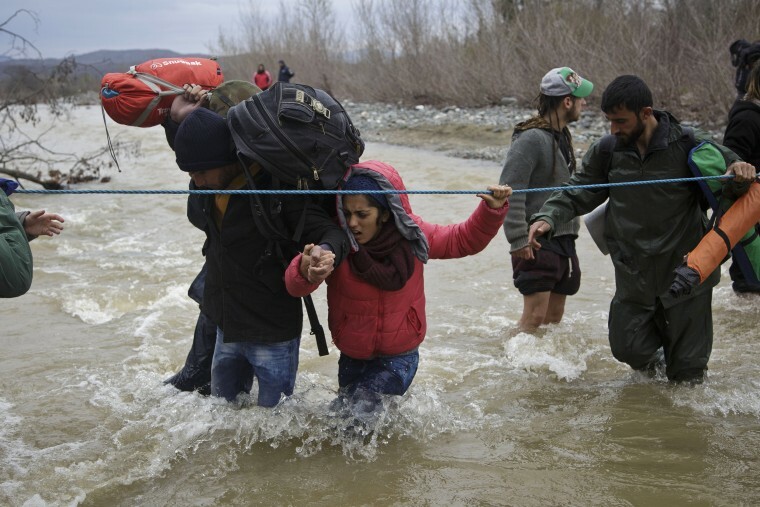 Refugees make their way to Macedonia from a makeshift camp near the Greek village of Idomeni, where thousands of refugees and migrants are stranded by the Balkan border blockade.